If you own a business, Facebook wants to make your life miserable. The ability to reach millions of potential customers for free has caused businesses large and small to flock to Facebook. Initially, the social media giant welcomed businesses with open arms. But as time went by, Facebook has realized that the marketing exposure it offers is worth something. It has also developed a long list of rules on how businesses can use the website. Remember when you first put your company on Facebook and went nuts getting customers to “like” your new business page? When you reached 5,000 likes, you started putting up wall posts that you thought would grow your business. Sounds great! But that is not the way it works. When you put up a post on your business page wall, take a look at the bottom left corner of the post. See that little button that says “Boost Post”? That is your gateway to business marketing hell. If you click on the button, you will see pricing for different kinds of marketing plans. Instantly, you close the window because you aren’t going to pay to have your wall post promoted. Yes, you are. A Facebook post on any wall only goes out to about 16 percent of your friends or likes. Facebook has this super secret algorithm that determines who sees your posts and who does not. If you want all 5,000 people who liked your page to see your posts, you are going to have to pay for each and every post. The costs are determined by different factors including what region you want to target and how many people you want to reach. Watch Your Mouth On Facebook! Facebook’s advertising guidelines are a “must read” for all business owners because they tell you things that you would never expect to read. For example, if you put an image in your advertising, the content of the image cannot be more than 20 percent text. In other words, your text has to be in the actual ad or news story you are posting. Why? So Facebook can see exactly what you are telling people and monitor your content. Your ad content cannot offend anyone. It sounds innocent enough, but it isn’t. If you put something in an ad that offends just one user 6 Things The Internet Has Taught Me About Etiquette [Opinion] 6 Things The Internet Has Taught Me About Etiquette [Opinion] Over the years, I've learned that the Internet has its own sets of rules and etiquette much like any other culture. Granted, I have also learned something else about the Internet – it's very cynical... Read More , and that user reports your ad, your Facebook Page could be shut down. Since a user reported your ad as offensive, Facebook can indefinitely suspend your page for violating the advertising guidelines. Your page could be shut down with no warning and with no chance to find out what is was that was considered offensive. So, think about that for a minute. You could spend years building up your Facebook following and have thousands of potential and current clients who follow your page. But in the blink of an eye, it could all be gone. The worst part is that you would not be able to do anything about it. The language in the Facebook advertising guidelines is just ambiguous enough to keep a lot of options open when it comes to your advertising. Here is a part of the advertising guidelines that is especially interesting. This philosophy is nice and ambiguous, and violating it can be a reason to shut down your business page. When you read the Facebook advertising guidelines, you may notice that section IV, part I says that your business model must be acceptable to Facebook. Does your business model meet with Facebook’s standards? If you said yes, think again, because no one but Facebook knows the answer to that question. 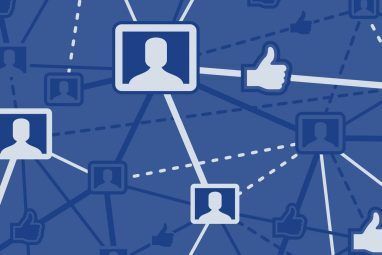 The only two business models that are mentioned by name are multi-level marketing schemes and obvious scams The Top 5 Current Facebook Scams To Watch Out For The Top 5 Current Facebook Scams To Watch Out For Read More . As for the rest of the businesses on Facebook, the only rule available is that you cannot violate the vague advertising philosophy. If you run a legitimate business, you probably have nothing to worry about. 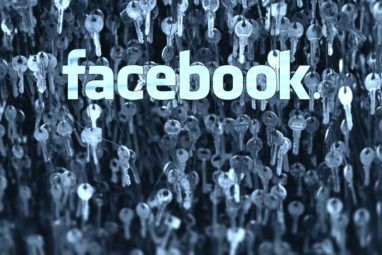 But since there is no way of having Facebook approve your business model, then there is no way to be sure if your page is safe or not. Even business owners who meet the business model requirements need to be careful. There is a series of other rules on sweepstakes in the Facebook Page Terms that you have to follow or else your page could get shut down. 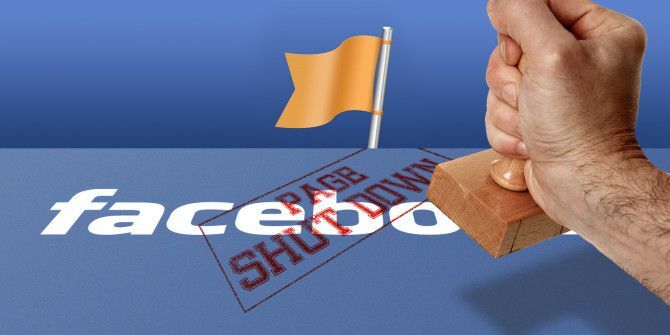 For example, if you ask people to share your sweepstakes announcement on their personal timelines, your Facebook page could be shut down. Why? Only Facebook really knows the answer to that question. If Everyone Jumped Off A Bridge . . . The most common argument business owners make for violating Facebook advertising rules is they saw some other business do it and that business is still on Facebook. If everyone else jumped off a bridge, would you jump too? Facebook has millions of pages to monitor every day, and it looks like the site is trying to get more comprehensive in its policy enforcement. There is software on Facebook that is supposed to be able to read the text of your ad (hence the reason you cannot put text in an image) and determine if it is acceptable. If your wording looks questionable to the reading bots, then your ad comes down. The worst part is that any individual could report your business page and have it shut down. Facebook seems to have no tolerance for reported pages, which gives the power over your business to the users. After years of hard work, one disgruntled customer could have your Facebook business page taken away for good. Does your business use Facebook to reach new customers? How is that working out for you? How do you make sure that your ads are not going to get your page shut down? Explore more about: Business Technology, Facebook, Online Advertising. This is informative. Thanks for the write-up. It's true FB's advertising philosophy is vague and only them can understand it. No matter what, they will always have the last answer. FB already shut down 3 accounts I have created...it would be easier if they just tell you straight "I don't want you promoting any products in FB for free". Instead, they'll email you with this. (Your account has been disabled because you violated Facebook's Terms. We disable users who send unsolicited messages and create objects for the sole purpose of promoting or advertising a product, service, or opportunity. - Maintaining pages dedicated solely to the promotion of online giveaways"
There's a bunch of lefties own and running mate..
My name is Ngoc working in the company specializes in Online Marketing on Google and Facebook social network in Vietnam. You are needing an reliable account to run Facebook Advertising. My company is 1 of 3 big agency of Google in Viet Nam. I had a personal page for 7 years that was absolutely in no possible way offensive to anyone. It was in no way a business site, however, I did manage a page for a farmer who just had a fan page with less than 500 likes. A few weeks ago, I was suddenly unable to access my page from any computer; only from a mobile phone. From my pc now, I cannot connect to Facebook in anyway now. I've since had to format my hard drive and reinstall everything so it can't be some cache or malware issue. And as everyone knows, there is no support from FB for much of anything.